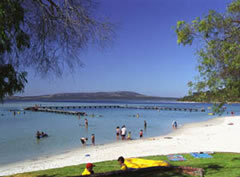 Emu Point Beaches swimming pool Jetty & Ocean coves- Albany. 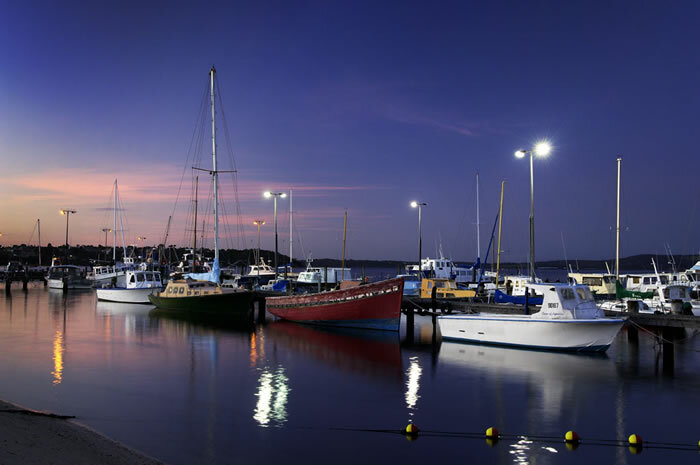 Emu Point beaches are close to Albany City and offer a wide choce of beach experiences having all the amenties you could need including a sea swimming pool jetty. You can swim from the swimming jetty at Emu Point beach or the sheltered coves Ocean side, both are good as you sit and watch the Kalgan Queen go by. 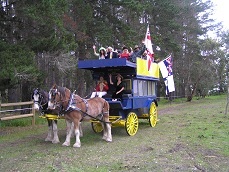 Take a tour on the riverboats sheltered water cruise which crosses Oyster Harbour and up "The worldes oldest river the anciant Kalgan. Fishing at Emu Point and Beach. 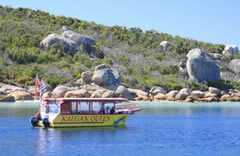 You will find Garfish, Salmon Trout, Skippy, Herring, Whiting, Silver Bream, Flathead and Squid. So why Emu Point? This was one name that I found hard to get to its origin, the obvious answer that there was a bunch of Emu's racing around is not the right one. Then I was told the answer, looking down from a plane the shape of the land mass looks like a running Emu. I quickly got a map which would show me the same view, not being in a plane at the time. But if the shape is a running Emu, it must have just been hit by a truck! The real answer goes back to 1815 when Charles Wentworth, the man who had just found his way through the Blue Mountains paid a visit. Having briefly run aground in the channel he realised the charts (maps) needed upgrading, which he did, then named the area after his ship "The Emu". Please give the like button a click if you find this page helpful or send if you have some input. Thank you.